Everyone knows you should constantly top up your sunscreen while sunbathing on board but ask any good dermatologist the secret to truly youthful looking skin and they’ll tell you SPF is key. The UVA and UVB rays which reach skin during sun exposure - be that on vacation, on the ski slopes or simply going about your day-to-day life - are responsible for almost all visible signs of ageing so making sure you’re wearing an effective SPF to block them can do wonders for your skin’s condition. Concentrating on blocking harmful UV rays rather than boasting a high sun protection factor, Sisley’s All Day All Year is formulated specifically for everyday use in cities. The lightweight formula contains vitamin E to fight free radicals as well as hazelnut oil, shea butter, juniper, white willow and sage to protect skin from external stressors, such as sunshine and pollution, while hydrating and firming. 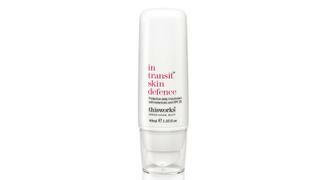 Ideal under make-up or combined with additional SPF while on holiday. Boasting SPF 30, this great all-rounder by American brand Paula’s Choice is packed with plant and vitamin antioxidants promising to minimise the effects of environmental pollutants and blue light as well as UV rays. Ideal for oily skin, the super lightweight formula applies easily and contains liquorice and resveratrol to illuminate and even skin tone. 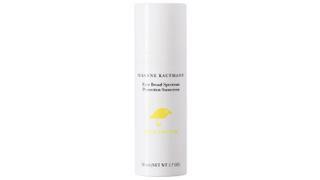 For those who prefer something a little more on the traditional sunscreen side, Susanne Kaufmann’s broad spectrum offering contains the patented Elix IR active ingredient to protect against infrared rays and prevent collagen loss alongside jojoba oil, zinc oxide and tomato fruit extract to fight UV rays and free radicals. Its initially thicker consistency spreads to a sheer, moisturising layer with a subtle fragrance. Enriched with This Works’ unique Bio Boost – a blend of defensive and protective antioxidant plant oils – along with skincare heroes hyaluronic acid and vitamin E, this daily lotion combats sun damage and pollution while also reducing the redness, swelling and itching associated with sensitive skin. Its broad spectrum SPF 45 is one of the highest protection factors available in moisturiser form while it also boasts eco-friendly credentials and is free from parabens, phthalates, sulphates and other chemical nasties. Always on the go? NYDG’s everyday sunscreen/moisturiser hybrid has been designed to provide lasting results whether you’re in the office, hitting the gym or spending time outdoors. Zinc oxide offers sun protection to SPF 30 while squalene and argan extract provide additional barriers to pollution and other environmental skin stressors – plus 100% of proceeds from every NYDG Chem-Free Active Defense are donated to the NYDG Foundation to support skin cancer prevention projects.